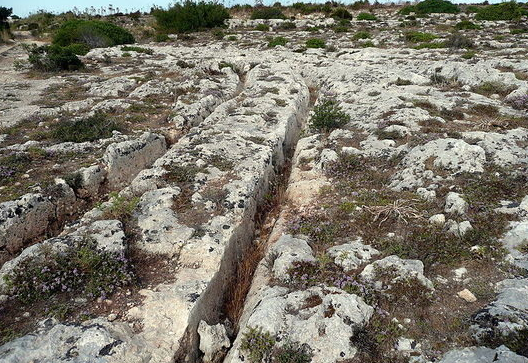 “Spread all over the tiny Maltese Archipelago are unexplained grooves in the bedrock. 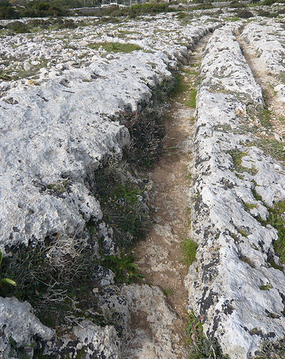 These ruts (or ‘tracks’ as they are often known) are heavily weathered and some examples have been found under the sea, just off the coast, or ending abruptly at cliff edges, thus suggesting a prehistoric origin. They are totally unique and nothing like them can be found anywhere else. 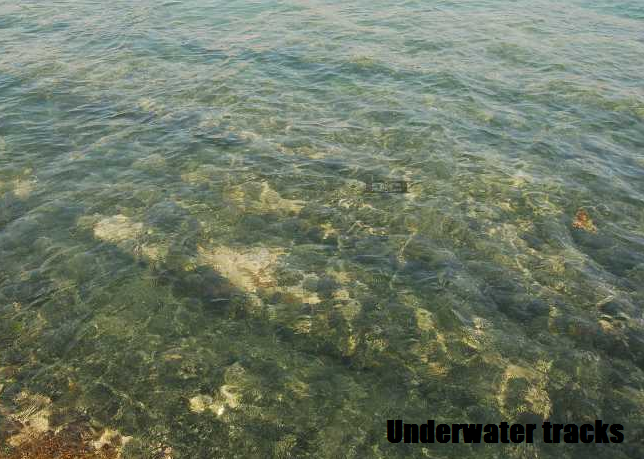 There are many theories on the original purpose of these man made structures. 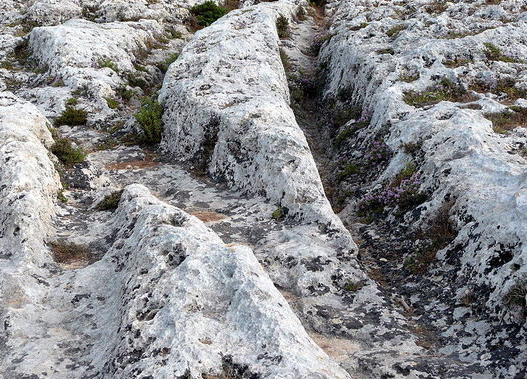 The most likely explanation is that the tracks are the result of ‘sledgecarts’ being dragged over the same route for hundreds of years, creating the deep grooves that are seen today. Curiously i would expect carts being pulled to have 3 groves two for the wheels and one for the horse. With a two horse cart i would expect the horses to be yoked closer together and if they did travel in the ruts i would expect wider ruts at every turn. 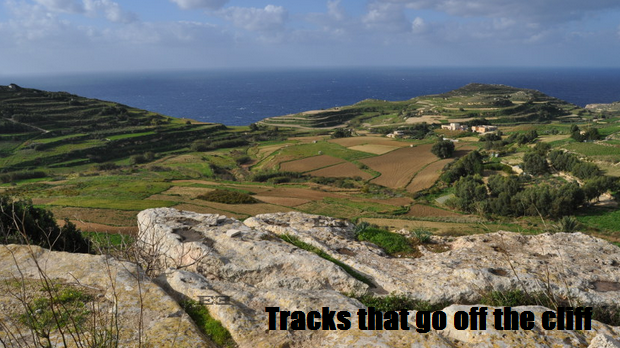 If these ancient people from Malta were advanced in technology they could have simply had automobiles. Montezuma from Mexico is said to have had wheeled war machines, in South America there are many wheeled toys and sculptures that look like automobiles. Cart tracks exist all over the world, all signs would indicate that these are different. This mystery may be solved by simply following the words of Solomon, “There is no new thing under the Sun”.